I may be an avid face washer, but the actual time that I practice my double cleansing routine changes. Sometimes, I’m extra ambitious and clean the day away right when I get home from work (it’s increasingly more difficult the more tired I get). On other occasions, I’m washing my face just before I hit my pillow and drift off into peaceful, glow-getting sleep. Both methods give me a debris-free complexion that’s dutifully slathered with my selection of serums and oils. But I started to think about whether the timing of my facial cleansing impacts the effect of the products on my skin. Your cellular regeneration magic happens while you sleep, after all. For clarification, I sought some derms’ advice. Dermatologist Shirley Chi, MD says that the more important factor is what you’re applying to your skin afterwards. “You can wash your face any time during the day, but it depends on what product you’re putting on your face afterwards,” she tells me. “Retinol for instance is deactivated by ultraviolet light, so the best time to apply it is right before bed. But if you’re applying something with antioxidants in it, it’d be great to apply as soon as you get in from the outdoors.” This is because the antioxidants will immediately start protecting your skin from oxidation and cellular damage. Either way, she says it’s also important to be mindful with your hands if you’re washing your face right when you get home. “Sometimes you’re eating and wiping your mouth and touching your face, and your skin-care stuff comes off,” says Dr. Chi. “But if you’re careful then you’re good to go to bed.” Sounds like a deal to me. 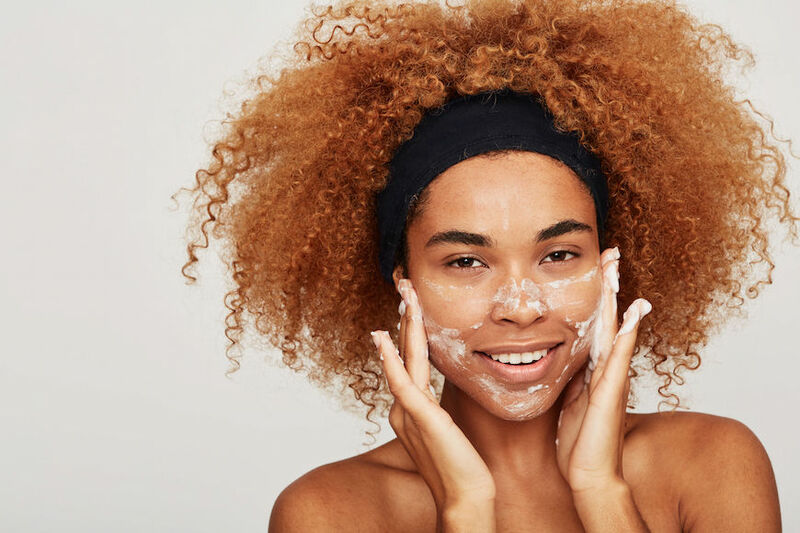 Now what to wash with: here’s why milky cleansers are great for acne-prone and sensitive skin, and this is the deal on micellar water (a French-girl fave).